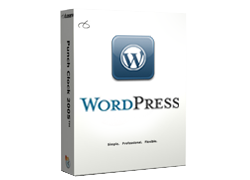 Free blogs managed by the developers of the WordPress software. The core software is built by hundreds of community volunteers, and when you're ready for more there are thousands of plugins and themes available to transform your site into almost anything you can imagine. Over 60 million people have chosen WordPress to power the place on the web. we are used to developing user-centric websites which establish quick connection between the business owners and their targeted audiences. We will proudly present Design elements and the structure of the layout makes the visitors feel comfortable and familiar with the site. Customized WordPress theme for any website as it provides all the necessary functionality and layouts to make your site stand out from the rest of your competitors. Clear Instructions we provide all our clients with full technical support and consultation on how to use the system. Let you teach easily update the website. If there are any questions you'd like to ask, don't hesitate in contacting us. Easy search engine Innovative and yet tested coding techniques let us confidently guarantee that your website is going to meet all the modern web standards.